In the Modern world, technological improvement is enhancing the versatility of innovation to a whole new level. The ongoing research is capacitating the development of more modern television devise with improved innovative features. 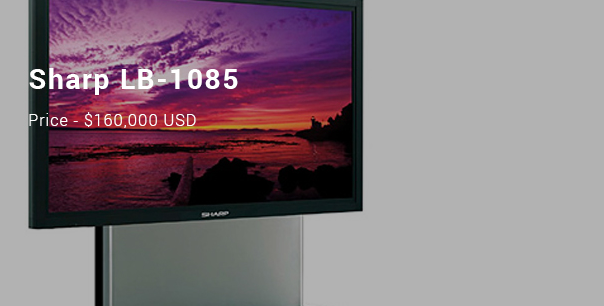 Sleek television sets; continue to be introduced to the market one after the other, with each design, coming up with an added functionality over its previous models. 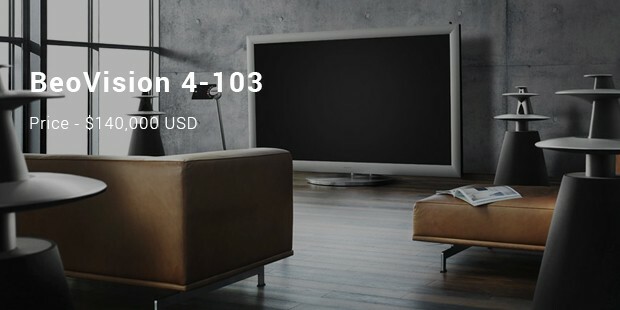 It is amazing to witness how the global manufacture of these television sets and the modernity each model competition adds up in improving the user friendliness and entire consumer experience in acquiring the various brands of these television products. Topped the list, priced at 2.26 million dollars. 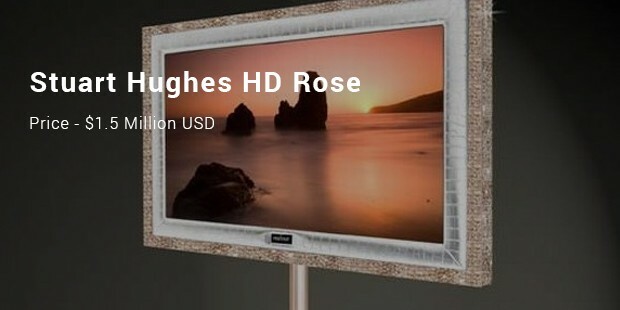 This smart and latest edition of television is a 55 inch flat screen coated exteriorly with pure 18k rose gold, that weight to about 28 kilograms. 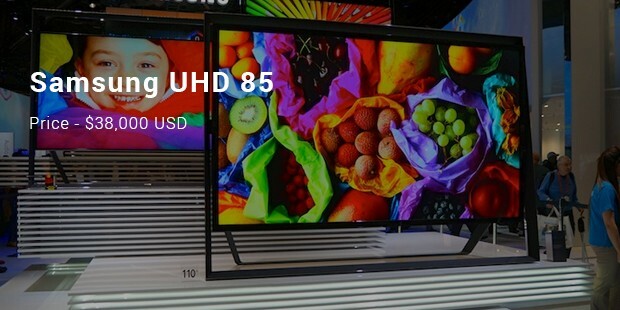 The most distinct quality that differentiates this television is its remarkable 72 round-cut, with a 1 carat diamond which adds up to its pricing. Is another model of the brand, costing 1.5 million dollars that featured. This lavish set is another creation of Stuart Hunges, superiorly decorated to extremities of attracting the attention of the filthy rich spenders. 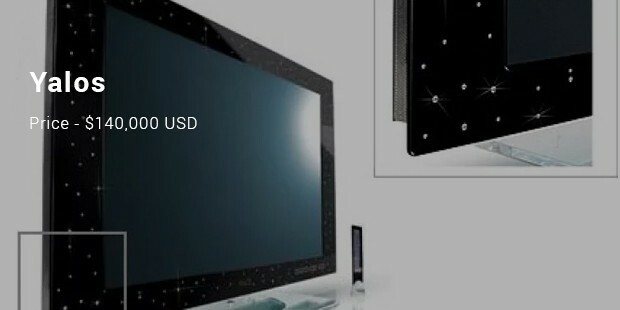 It is a 55 inch screen with a finely decorated 19 kilograms of pure yellow gold with a 22K quality. It comes with a round-shaped 48 excellent diamond cut, weighing 0.75 carat in each piece. Well furnished with topaz and some glamorous pieces of aventurine gems. Is another in line, which is currently priced at half a million dollars. 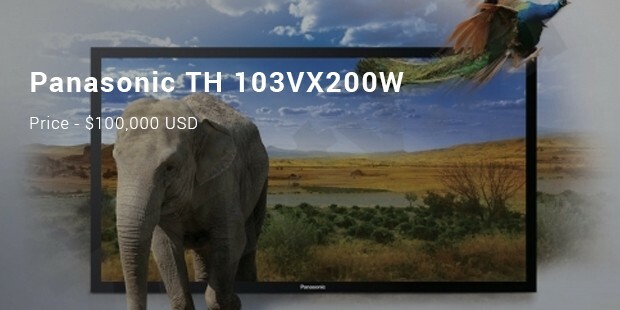 This is a Panasonic model, comes with a stunning resolution power of 4096 by 2160. Its weight estimate to about 1272 pounds and deliver a unique 3D images in a HD quality. This amazing set estimates to that of a cinema which range in the ratio 17:9, just to fit in its pricing. That is priced at 160, 000 dollars is close competitor. 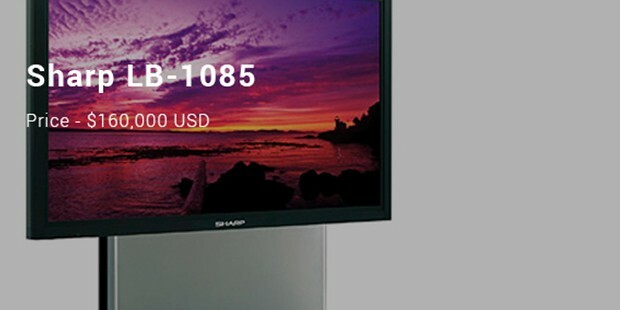 This 108 inch screen TV, uniquely comes with a 176 degree viewing angle and a 1DV1 plus 3HDMI ports for input. 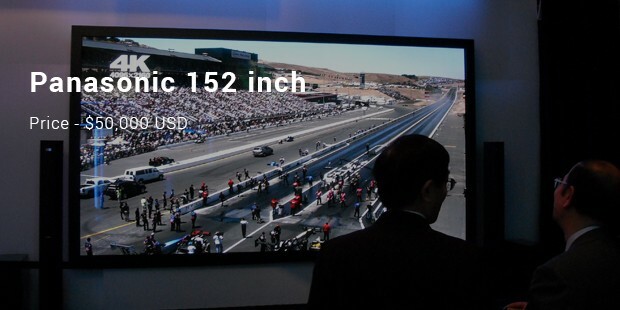 It is of enormous size plasma TV that displays pictures in100Hz. It comes with a motorized stand to adjust view angle. Comes seventh in the list. It comes with 3D viewing glasses, and a 30 bit chip.